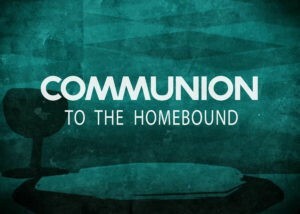 Communion….For as often as you eat this bread and drink the cup, you proclaim the Lord’s death until he comes. We have a desire to see any and all people have access to the holy communion. We have an amazing team that takes just an hour of their day per month to bring the Lord’s supper to those who are homebound. The team is equipped and supervised by the Community Servants Team and chair person(s) to Hal Maskiell and Gail Magnuson. Please contact Gail Magnuson for more information.